GeoGebra Institute of Metro Manila (GIMM) is one of the International GeoGebra Institutes (IGI), a non-profit organization behind the free mathematics software GeoGebra. 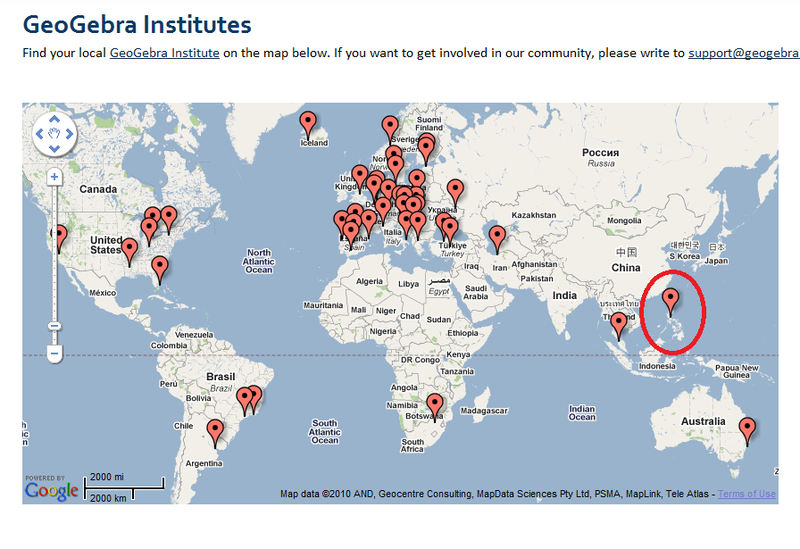 It is the first GeoGebra Institute in the Philippines. make presentations at national and international conferences. The University of the Philippines National Institute for Science and Mathematics Education Development (UP NISMED) is the host of the GIMM. GIMM’s first activity is a 2-day seminar-workshop on Using GeoGebra in Teaching Mathematics on May 5-6, 2011. If you are interested to join the institute, email me at gipmanila@gmail.com.